The plastic was found on 75 percent of the beaches. Britain’s beaches are covered with with tiny — but potentially deadly — plastic beads. These beads, called “nurdles,” were found on almost 75 percent of 279 UK beaches that were recently surveyed. These colorful, lentil-sized pellets might go largely unnoticed by us beach bums, but they can cause damage to birds and fish who mistake them for lunch. Additionally, the toxic chemicals nurdles release as they degrade, such as bisphenol A and polystyrene, can harm wildlife native to oceans and seashores, according to a study reported in the Journal of Chemical and Pharmaceutical Sciences. Nurdles are used to make larger plastic objects and are notorious for falling off of cargo ships during transport. The plastic pelts have been estimated to make up 10 percent of the 165 million tons of plastic that is estimated to pollute our oceans. 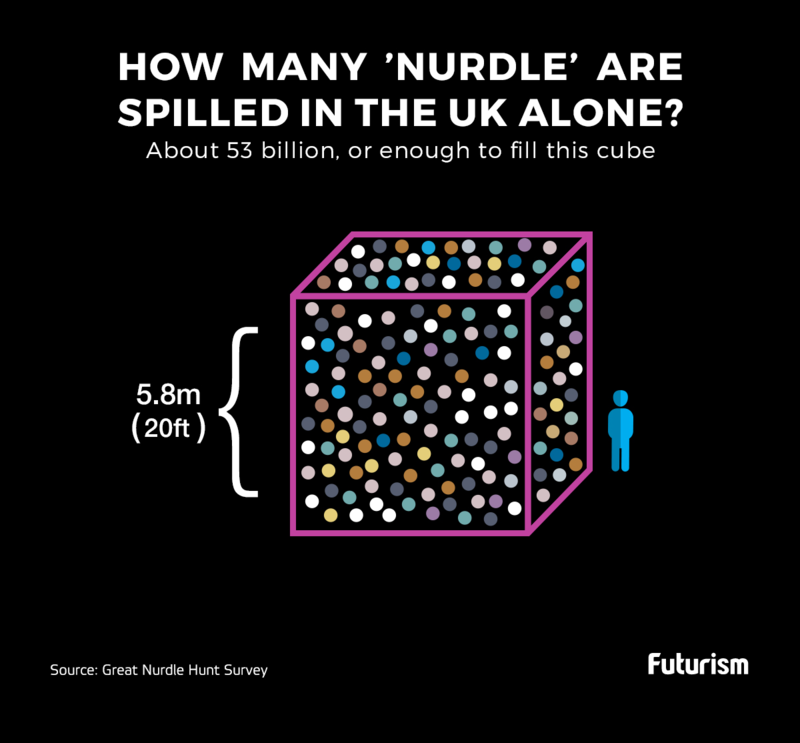 The survey (called “The Great Winter Nurdle Hunt”) was conducted by Brits who are eager to clean up their beaches. The volunteers who collected the most nerdles scoured Widemouth Bay, located in southern England, to find about 127,500 of the pellets on the 100-meter (328-foot) stretch of beach. All in all, the UK’s environment gets polluted with up to 53 billion nurdles every year, campaigners estimate. Madeleine Berg of Fidra, a Scottish environmental charity that organized the survey, said in an interview to the BBC that the hunt demonstrated that the UK government needs to take action. Plastic waste is not just a UK problem, but a global one that requires every nation to step up. In 2015, the United States passed a Bill banning the use of microbeads in FDA-approved products as a measure to protect US waterways. However, critics say more needs to be done to regulate plastic pollution and hold countries accountable for the environmental impact their waste has on other countries. Recently, scientists declared a new geological age, one that is determined by the influence of humans, like the ones polluting our waters with plastic. The Anthropocene epoch is said to be a “new age of man,” signifying the intense influence human activity is having on the future geological record. At some point, we must ask ourselves – is this how we want to be remembered?